The story of the Prodigal Son has always been my favorite parable, and I’ve studied it and taught it more times than I can count. Still, no matter how familiar, I always find something new in the story. Think of the son, coming home longing to be accepted, even if he must be a servant instead of a son. Think of the father, sacrificing his dignity and position to run out in the street and welcome him home. I simply can’t picture that meeting without being moved almost to tears. Given that I love it so much, it’s not surprising that the Prodigal Son theme runs through many of my stories. 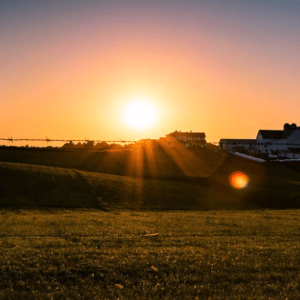 In the latest, THE PROMISED AMISH BRIDE, the prodigal theme comes to the forefront as Aaron, youngest of the King brothers, comes back to the Amish home he’d deserted as a teenager. But this prodigal isn’t longing for acceptance. Instead, he’s angry, resentful, and determined not to humiliate himself by confessing and begging forgiveness. He only wants refuge from the disgrace that has shattered his successful Englisch life. But Aaron doesn’t reckon on running into neighbor Sally Stoltzfus on his way home, and he can’t believe that the shy little girl he remembers has turned into such a beautiful, outgoing woman. Sally, now the community’s teacher, hasn’t forgotten the rebellious teenager she’d had such a crush on, but she’s dismayed to see that he’s turned into a bitter, hardened man who doesn’t want anything from anyone. Still, lively, audacious Sally isn’t one to give up on the boy who’d once promised to wait for her to grow up and marry her. Aaron might count those idle words as a joke, but Sally considers them a license to interfere, no matter what Aaron thinks. With the help of Aaron’s meddlesome small niece and the advice of his wise old uncle, she sets out to show Aaron he’s back where he belongs. Just when Sally thinks she’s succeeding, a visitor from the outside arrives with news that turns Aaron’s life upside down. Faced with a choice, will he be able to accept the role of penitent prodigal, or will he run away again? Stories that turn on a writer’s deepest beliefs can be the most difficult to write, but also the most satisfying. I hope you’ll think I succeeded with THE PROMISED AMISH BRIDE. Thanks for stopping by Destination Amish, Marta. Your book sounds great! Who’s ready for a giveaway? 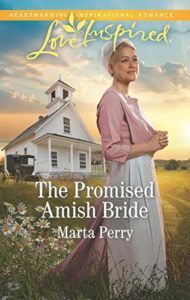 Marta is giving away one print copy of THE PROMISED AMISH BRIDE and one ebook. Two winners will be picked! To enter, leave a comment below and let me know which you prefer, print or ebook. Easy peasy. Giveaway starts today, Monday, January 28th and ends Monday, February 4th and is only open to US residents. Two winners will be selected at random and announced on Wednesday, February 6th in the comment section of this blog post. Good luck and don’t forget to share this giveaway with your friends! Would love the chance to win!!! Love reading the Amish books. Would love to win the print copy Thank you. I can’t wait to read the rest of the story. I would love a paperback copy. Would love to win a ebook copy for my Kindle. Love Marta’s books. It’s nice to hear from you. That was a lovely visit and I enjoyed your hospitality. Would love to win a book in print please! I would love to win the e-book. Thank you for the chance to win. Marta is one of my favorite authors, thank you for the chance to win a copy of this book. Thanks for the opportunity to win this book. Love Amish stories!! Though I prefer print books, I would love to win either one! Sounds like another great story, an eBooks please, if you pick me. Thank you for the chance to try and win. Have a great day.😊💖 love reading you stories! I would love to receive a copy of the printed version of The Promised Amish Bride. Love your books. Thank you for the chance. I would love a print copy. Thank you for the chance. reading the Amish books are a real enjoyment and helps me to understand the Amish community. Always enjoy your books & would love to win one. Wonderful giveaway 📘. Sounds like an interesting read. Would love to win a print copy of this book Thank you. I have read this book and love it. I don’t need to win it but just wanted to say that The Promised Amish Bride is a must to read. I have a nerve disease throughout the entire body called RSD and have had for 34 years. I can only read a print copy as i don’t do any tech and would love to read and review your book! Thank you for the chance. Thanks for the chance! Print copy please. I would like to win either print or ebook. Would love to read this book. Would prefer book. Thank you for this awesome opportunity! Hi Marta! I would love to win a printed copy of The Promised Amish Bride. I will share with my 87yr old mother (she does not read e-books) as she loves to read Amish Christian fiction. Hi, I love your books. I would prefer a print copy. I love holding the book while I am reading it. Thanks for the chance. Thanx for the giveaway!!! I love hardcopy books, but also read ebooks. I love Marta Perry stories!!! Love all Martas books. My kindle never gets a rest. Love to win a print copy!Thanks very much! I would love an ebook because I’m in Canada and shipping can be pricey. Would love to win the Print Copy. Love the front cover. Thanks for a chance to win. Oh yes PLEASE! I prefer ebooks. Thank you so much for the opportunity and best wishes on your new book! I would love a print copy! The Prodigal Son is my favorite parable and favorite book theme. Would love the chance to win the print book. I love reading Amish fiction, book sounds amazing. I would prefer a print copy. I enjoy Amish romances. Print, please. Thank you. Would love to win e copy, just bought a kindle. I would love to have a print copy of the book, “The Promised Amish Bride”. If I win, this book will be going to my Daughter-in-Law. The cover to your book Marta perry looks awesome and pretty. I would love the chance to be entered to win a copy. I have loved every book of yours that I’ve read and would like very much to win a copy of “the Promised Amish Bride” . . . thank you for the chance to enter this giveaway! This story sounds wonderful! Thanks for the giveaway, put me in for an e-book! Thanks for having this giveaway. I would love the print version if I win. I love reading about the Amish. Hope to win a book. I would really like to win a paperback! Thanks for sharing the chance to win. Would love a print copy. Thank you for the chance to win. I like print more than e books. Love the smell of new paper. I have enjoyed the books by Marta Perry that I have already read. I’m sure I will like this one as well. And I would love the opportunity to have a print copy. Would love to read a print copy. This sounds so good. Thank you for the chance. I love Reading about Amish Life and their Families how their Faith is very important.. I would love 💘 💘 to win your book have read many of your,but not this one (love to have a book of won),thank for the enter. The Amish books are my very most favorite of all times! I actually have an Amish book collection and I would very much love to add the The Promised Amish Bride to my collection in print form. Would love to win a print copy love reading about The Amish! A book that I look forward to reading. Thank you for offering giveaway. Prefer print copy but would accept an ebook. This sounds so good! I’ve always loved the story of the Prodigal Son also. Thanks for a chance to win and I prefer a print copy. Love Amish fiction and Marta’s books are really excellent. Makes for a wonderful combination. What an interesting story! Would enjoy reading this to see what happens to their potential relationship and what secrets are brought out. Print book please. Love your books! Ebook would be great! 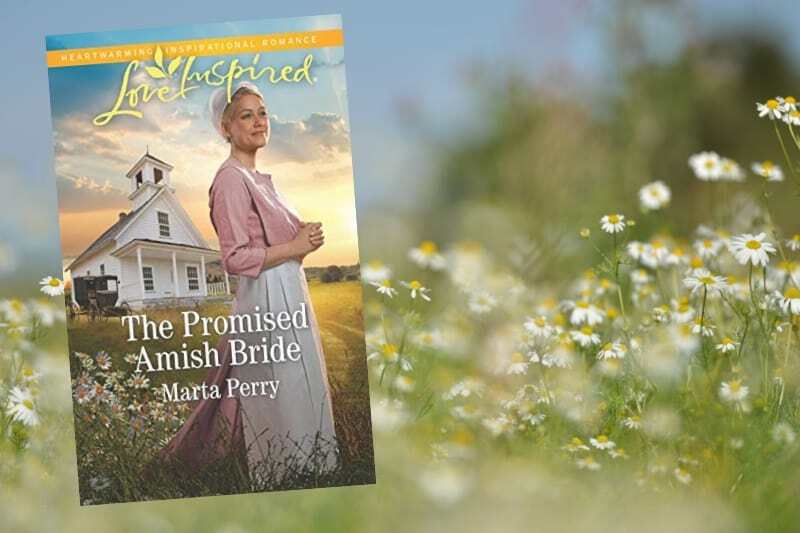 I WOULD LOVE TO WIN A PRINT COPY OF MARTA PERRY BOOK LOVE READING ABOUT THE AMISH! Would love to win. I would take either one. I would love to win this book! One of my favorite authors and subjects to read about!! The winner of an ebook of THE PROMISED AMISH BRIDE is Melissa Wallace. The winner of a print copy is Katherine Bartlett. Congratulations, ladies! Please watch your email for details on how to claim your books. Thanks for entering, everyone!